My kids would eat marinara sauce all day if they could. When I ask what they want for dinner, it's always some type of pasta with sauce. I think they forget they are half Indian. 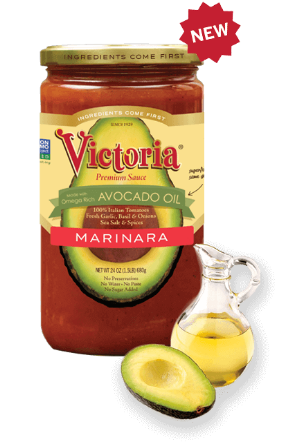 I am always trying to find a better-for-them version of marinara sauce, and I love that I found this one from Victoria Fine Foods. I love that it has avocado oil, so the kids get that nice dose of healthy fats. The sauce is beyond delicious too, I have used it in lasagna and baked ziti, both were a huge hit! You can find Victoria Fine Foods products here.